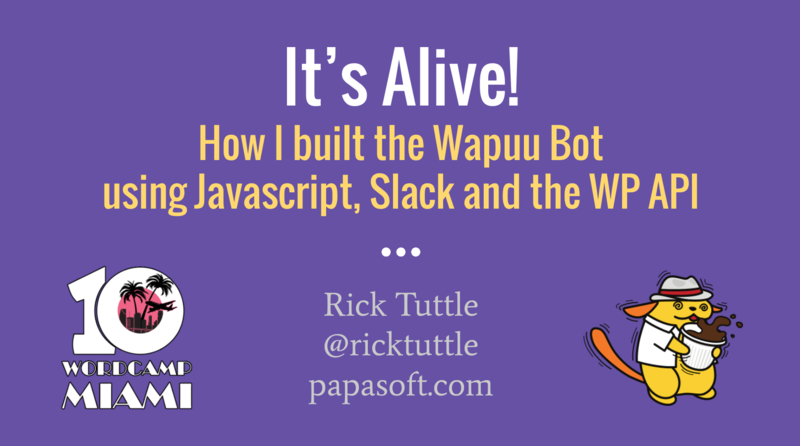 My name is Rick Tuttle and I'm a Miami web developer, speaker, musician and writer; sharing thoughts on business, social media, music, literature and the meaning of life. I presented at WordCamp Miami 2018, our 10th Anniversary. Here is a link to my favorite plugins. I made a CD of lullabies that I wrote for my daughters when they were younger. When they got older we recorded them.